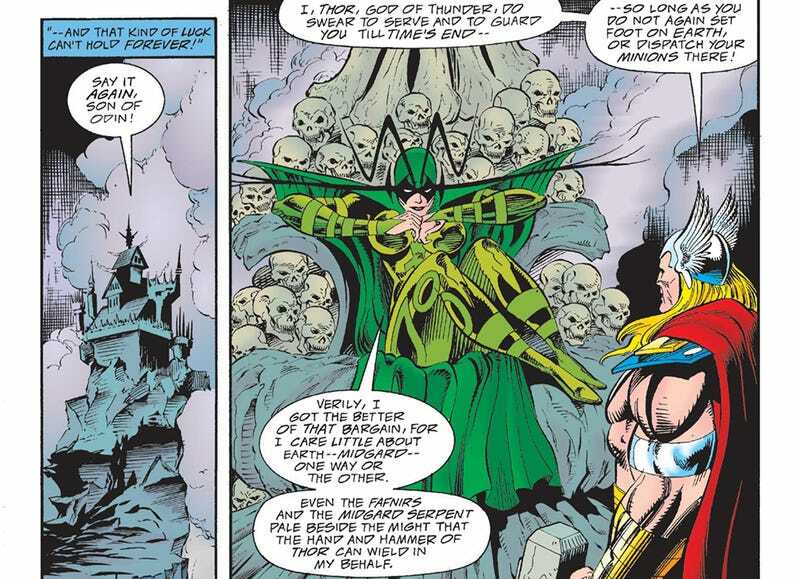 Yeah, there were a ton of comic book references in Thor: Ragnarok. What’d you find? I wrote up my rundown of every random piece of trivia I could find in the film - I need to start getting paid for this. Feel free to click the link to get the run down, but there’s a few things I wanted to ask about here. First, what are the odds “Sparky” was a purposeful reference and not just a coincidence? It was a common nickname for Eric Masterson when he served as Thor in the early ‘90s. Second, Skurge. What did you guys think? If you weren’t a comic fan (or were unaware of his comic history), did his story arc resonate with you? If you were a comic fan, did you feel this version of his story did it justice? Third, the Warbound. They were called the “Revengers,” but they were basically the Warbound of Planet Hulk/World War Hulk. They were played for laughs here, but it was technically them - did it work? As for the last two, I personally am more emotionally involved with the Thor story than the Hulk one, so I didn’t mind Miek played for laughs, but was bothered by Skruge’s downgrading. Oh hey, and Beta Ray Bill appeared!